CSF Lulu in foal for 2019 to Vittorio. She lost her stunning 2018 foal by Vittorio following an accident in the field when he was three months old. 14th June 2018 - Vittorio foal for Lulu! A stunning colt foal by Vittorio for Lulu by Luidam - four days early and all is well! CSF Lulu: 4th in the Cavan Loose Jumping final in 2012 before retiring to the breeding paddock. Lulu has been inseminated with Vittorio and is now home. She is joining the other broodmares in the paddock with a great view of The Mourne Mountains. Vittorio (Holst) - above. See all his details on the drop down menu of Drumhowan Stallions under his name. Lulu's first foal, CBI Bella Donna, was born in 2015. Sired by VDL Stud's Zapatero, (photograph, right) this beautiful filly was sold to Sweden. PEDIGREE: Major de la Cour's sire Grand Veneur was one of France's best high-class performance stallions. He was the sire of 74 stallions, including Major de la Cour, (who became a most important sire in Belgium); approximately 30 Grand Prix horses, and in all more than 335 show-jumping winners. Major de la Cour's dam is also the dam of Creme de la Cour, an Olympic horse in Canada. PERFORMANCE: Major de la Cour competed successfully up through the ranks in the 4-5 and 6-year old classes. 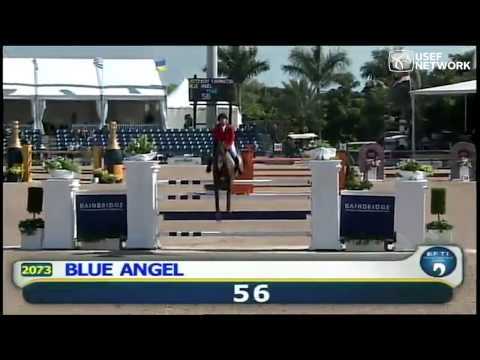 As a seven year old he competed successfully with Philip Vandelanotte in international classes. Major de la Cour was ranked 14th in the World Breeding Federation Sporthorses rankings for showjumping stallions. 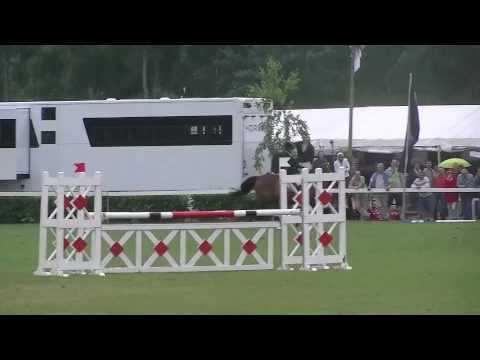 His Dam Sire Alme was the most influential international show jumper and elite sire. PROGENY: Major de la Cour's list of offspring is remarkable. He is the sire of six approved stallions, sire of Fortis van het Paerdkin, champion of the 5-year olds and finalist at the World Championships in Dortmund in 1990. Capricieux des Six Censes, champion of the 5-year olds Cycle Classique Belgium. Kay Epona, champion of the 5-year olds Fontainebleau France in 1992. Major (ex Ghandi) European Champion 1992 , German junior champion 1992, third place Volvo World Cup 1992, and winner of many other competitions. Favorite D, Belgium Junior Champion 1992. Veneur de la Cour, winner of the final test in the 5-year olds in Gesves. The international showjumpers Joli Coeur, with Franke Sloothaak, Patrigano and furthermore Fientje, Fara, Galeon, Fire, Hunter, Havana van het Paerdkin, Grand Seigneur, Insel Sitte, Kobalt W. The list continues to grow. Major de la Cour's successful offspring continue to follow each other. CSF Lulu's dam, Suprise Van De Somme is a sister to five horses that have competed at international level, the most famous being her full sister, Picobello Wodiena who has competed up to World Cup level. Picobello Wodiena '99 by Major de La Cour - 1.60 SJ Al Junabi (UAE). Silver medallist at the Asian Games. Luidam competed at the highest level for Ireland with Billy Twomey. 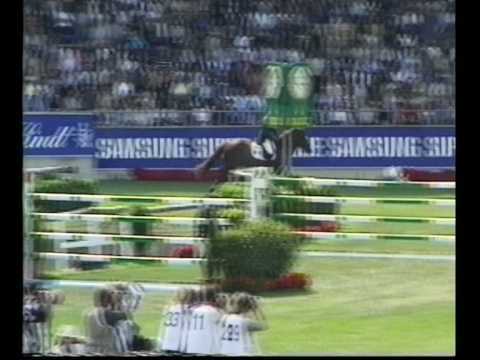 In 2003 Luidam had tremendous success including being on the wining CSIO Nations Cup teams in St Gallen and Aachen. Luidam won the Grand Prix at La Baule, the final of the Samsung Super League Tour. He was 2nd in the Grand Prix of St. Gallen, Dublin, Mauberge, Norden Hadenburg and the British Open Championships at Sheffield. As the jewel in the crown Luidam was short listed for the Olympic games in Athens 2004. Luidam is a multiple Grand Prix winning show jumper and a HSI 5* rated stallion based on this own performance, as well as the performance of his progeny. He is the best son of Guidam, leading showjumping sire in 2003/2004 (sire of Authentic, & Ninja La Silla). Luidam was one of the most consistent performers on the European circuit and descends from a great lineage. His sire, Guidam, was from one of the strongest stallion lines in the breeding of jumping horses, the Ibrahim-Alme-Jalisco B Quidam de Revel line. Luidam passes on an easy temperament, a nice shape with a long neck and strong legs. His offspring are athletic and move well with very balanced canters. 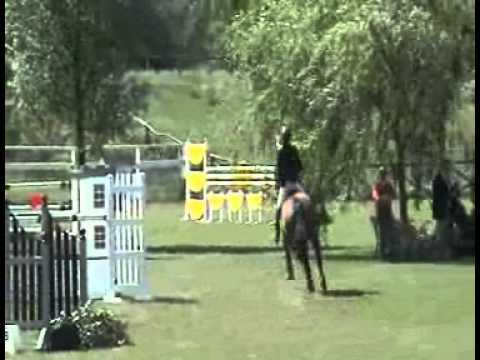 He brings to his offspring his scope and mental toughness and willingness and a particularly good jumping technique behind. Of the 18 horses selected to represent the Irish WBFSH Studbooks at the FEI WBFSH World Breeding Jumping Championships for Young Horses 2016, Lanaken, Belgium, 4 of the 18 horses were sired by Luidam.